I hope you all had a wonderful week! I spent most of the week cleaning our new house, (in case you missed it: we’re moving again!) and we did not even visit family. However, we did not have time to be sad because there is just so much to be done! Thank you all for keeping up with the blog, even though it has been very slow. I plan on getting back to regular posting as soon as we jump into the new year and I get settled into my new studio/office. I have so many post drafts and photos already taken. In the meanwhile, if you fancy a chat or have any questions the quickest way to reach me is Twitter, I check it least once a day. Here’s how the week went. Empties. I have been washing my hair more frequently due to the daily dusting I have been doing, so this week I finished another bottle of Rahua Voluminous Shampoo. I have decided to commit to other nice shampoos that I have been using on and off so I can offer proper reviews, but I am still very happy with Rahua Voluminous and I would repurchase immediately. I think that this one was my eighth bottle. New. This week I received the Antonym Lola Mascara I purchased last week, and I wore it the entire day yesterday for the first time. The formula is definitely good: gentle to the eyes, smudge-proof, with minor flaking toward the end of the day. However, the look is very, very natural. 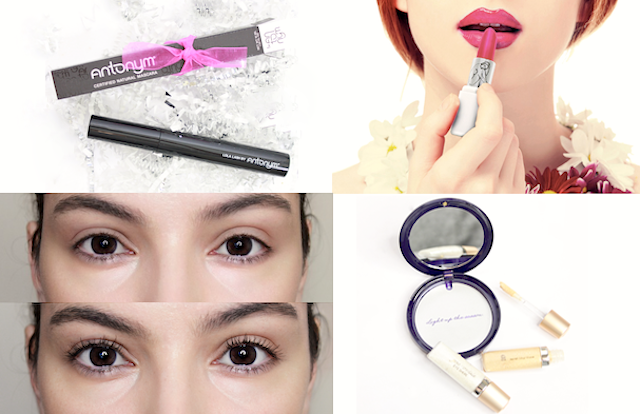 If you like dramatic, thick, voluminous lashes–this may not be for you. Available here. Added to the List. I could not help but notice these Australian-made, Cosmos Certified Organic lipsticks called Nudus that lately have been filling my Instagram feed. Have you tried them? Many bloggers are raving about them. They have been promptly added to my list. Available at BeauTea Bar. Disappointing. You may recall that I have been a fan of the Benjabelle Tree (I now have two trees). I also like to use their organic foaming brush cleanser, so I picked their organic solid cleanser and recently washed my makeup brushes with it. The concept is great, and a solid cleanser is definitely convenient. I just wet the brush, swirl it into the soap to remove all the makeup, and then rinse the brush. However, I find that the solid cleanser does not work nearly as good as the foaming cleanser. It leaves some residue on the brushes that does not easily rinse off. I definitely will not repurchase and will instead switch back to foaming Castille soap. A favorite of mine for brush cleansing is also the Earth Mama Angel Baby foaming wash, which is gentle, rinse off very well and very quick, and has a delicate citrus-y scent (you can find it here). NYE Glitter. You might have spotted two Jane Iredale Eye Shere* Liquid Eye Shadows earlier this week on my Instagram page. They truly have an amazing formula. They are crease-proof and smudge-proof, and won’t come off until you use a good makeup remover. The glitter particles are lovely; not too big, not too small. 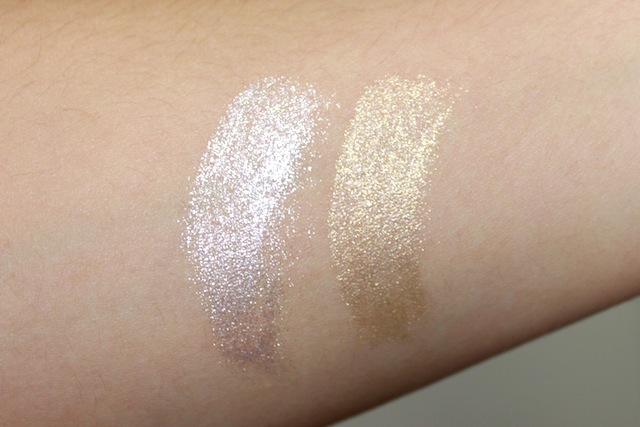 Just a great size to add a little sparkle to a party makeup look and they come in both silver and gold (swatches below). Jane Iredale liquid eye shadows have been consistently great and I highly recommend them, as long as you are okay with using silicone in your makeup, (for occasional use, I am. Especially if I want my makeup to last exceptionally well). Available here. Sales. 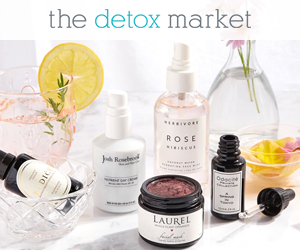 The Detox Market is having another good sale this week. They are offering 15% off any order of $100+ with code JOYFUL. Find here. BeauTeaBar is also having a sale: receive 30% 0ff RGB nail products with code Polish30. Find here.